Within the project “UFCl2” we are developing an innovative and integrated solution for drinking water purification in off grid regions with poor source water qualities. The overall objective is to provide a system of low maintenance need and extremely low operational cost. The fully solar driven and containerized solution will join the strengths of ultrafiltration and anodic oxidation technology to supply reliably safe water. With SolarSpring GmbH and the Fraunhofer Institute for Solar Energy Systems (ISE) AUTARCON is leading an interdisciplinary research consortium comprising experts from the fields of automation, solar technologies and water purification. 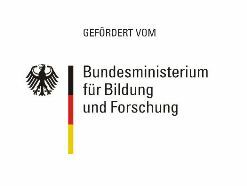 The project is co-funded by the German Federal Ministry of Education and Research (BMBF).